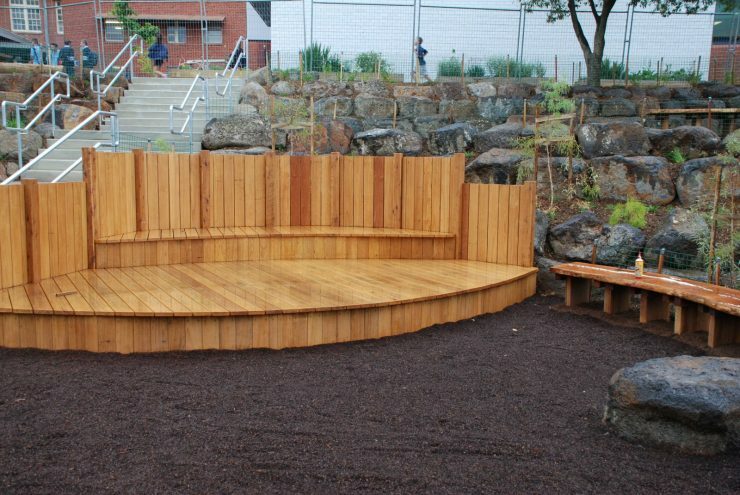 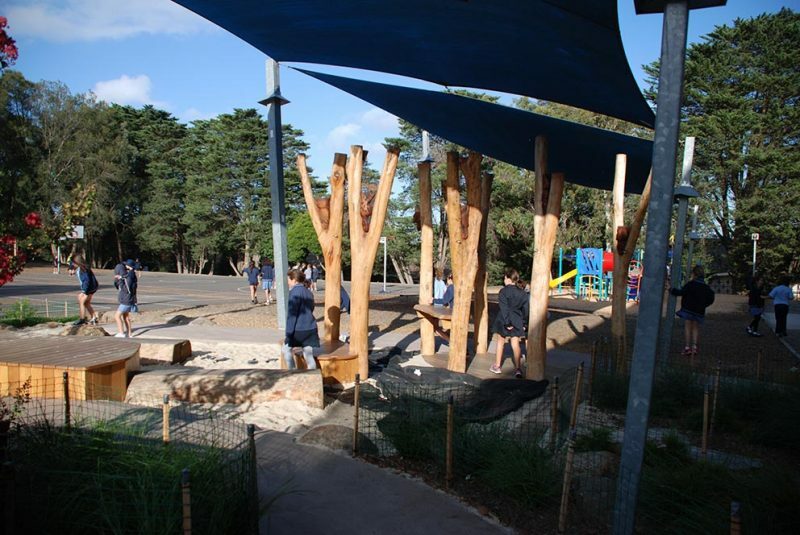 Jeavons were engaged by the school to link the upper level play and lower play areas of this challenging site. 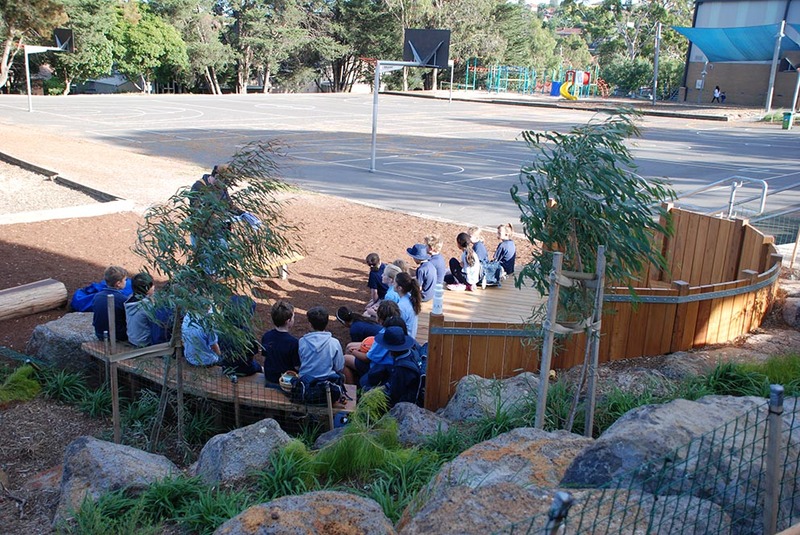 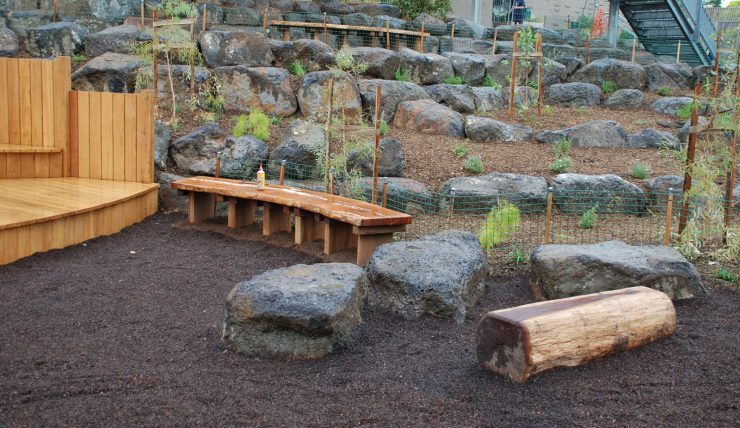 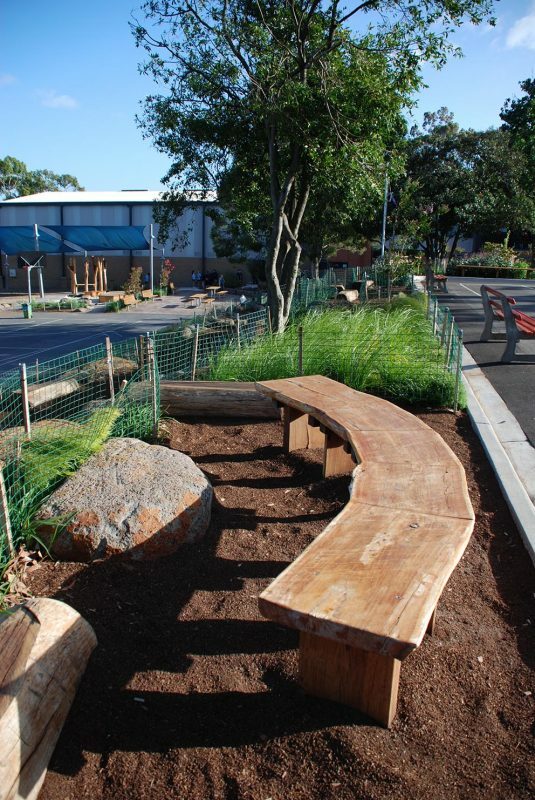 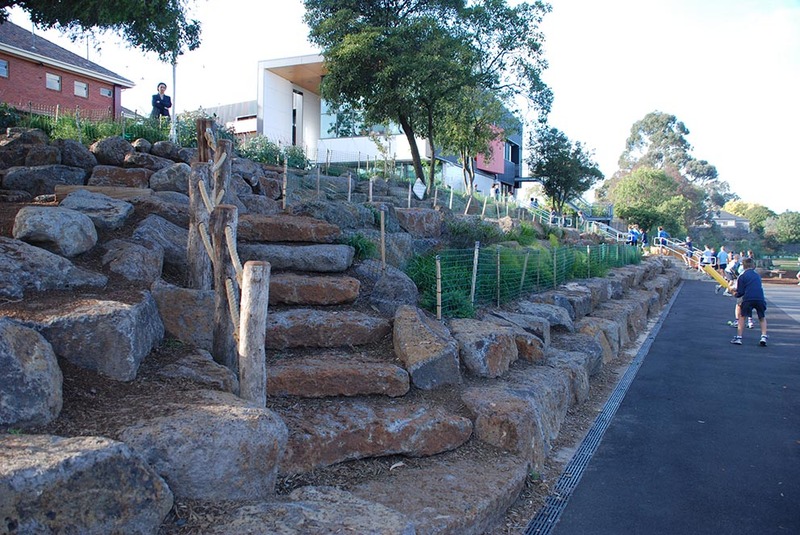 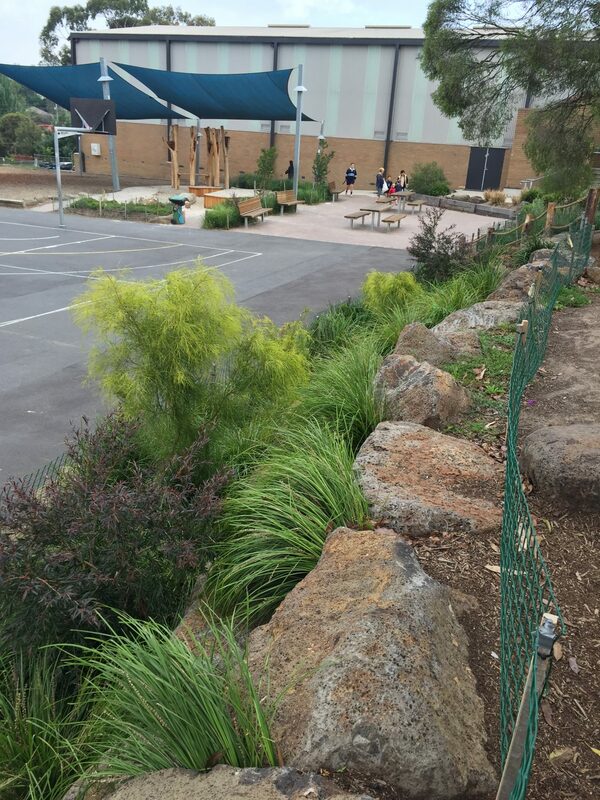 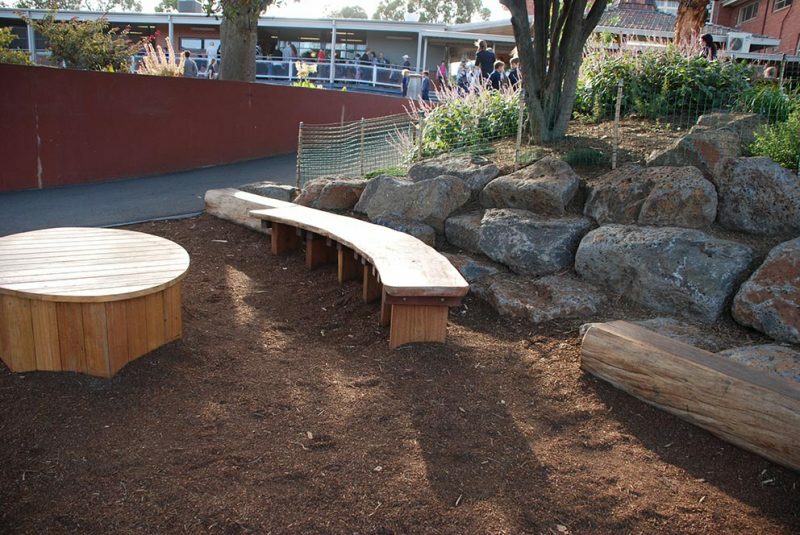 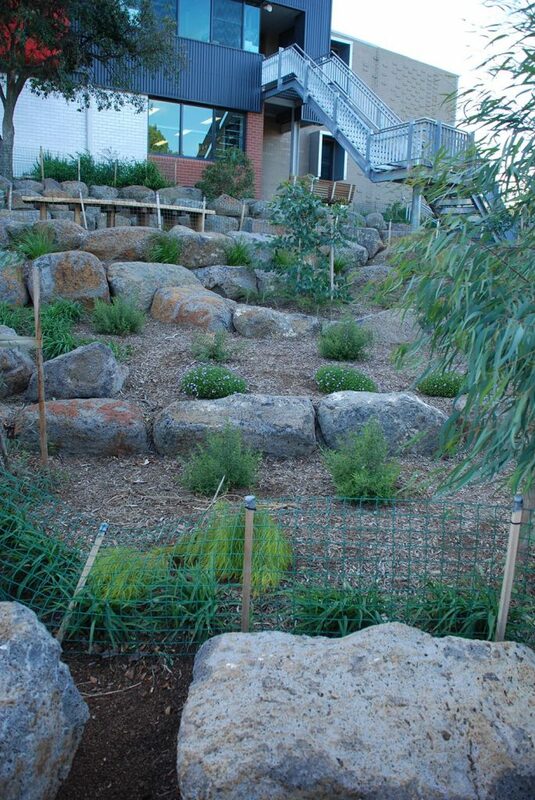 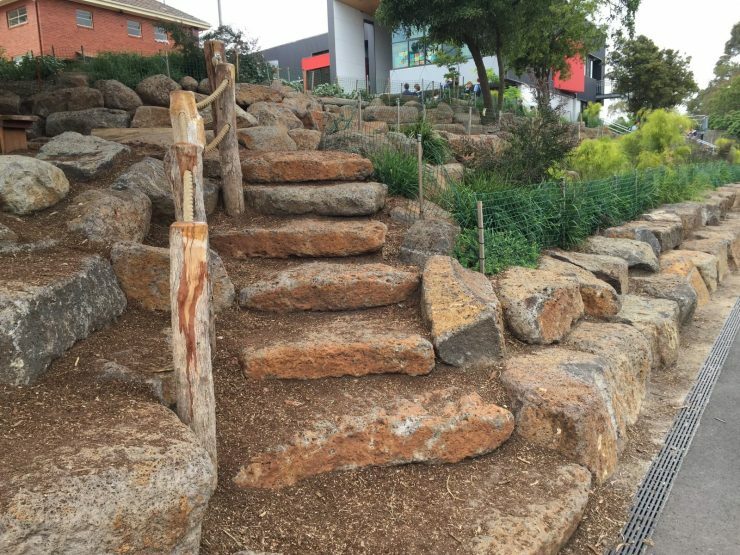 The design outcome was not just a ‘retaining wall’ but a rock retaining wall that offers opportunity for different challenging ways up the embankment, seating areas, outdoor class rooms, steps and planting in amongst the rock embankment. 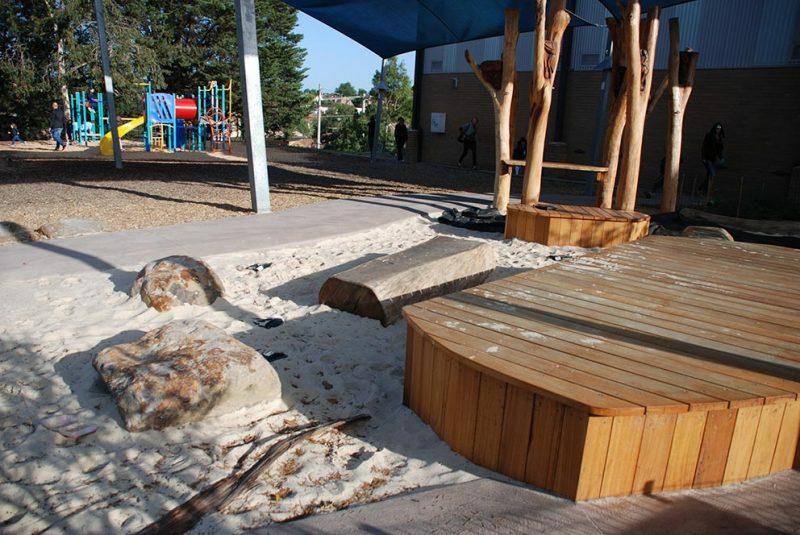 The creative and playful design outcome also created more play space and safer movement on the upper and lower level play spaces. 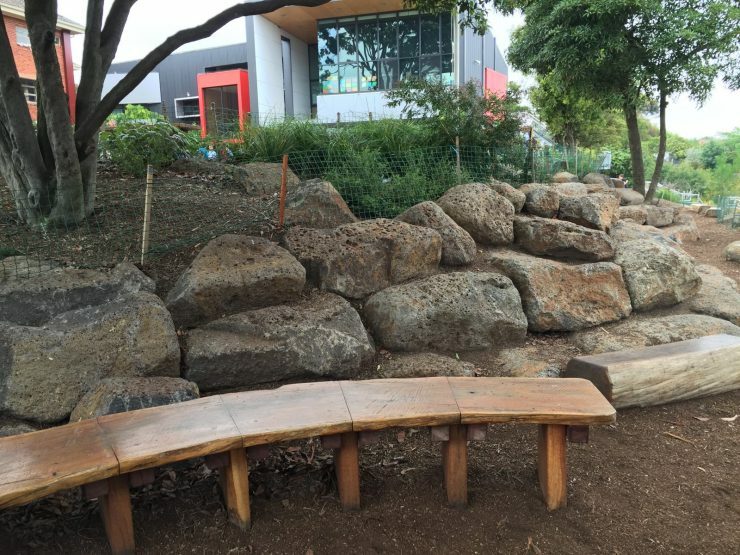 The consulted children from the mining club were extremely impressed with the outcome as we were able to provide more rocks for their discovery play. 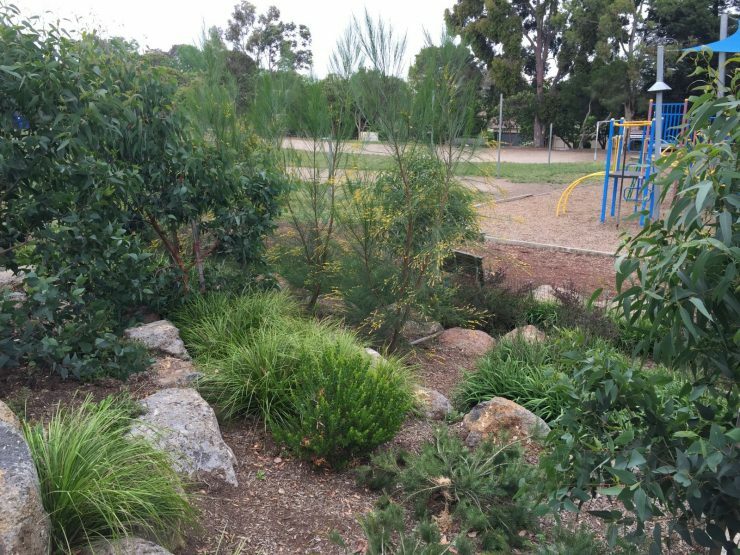 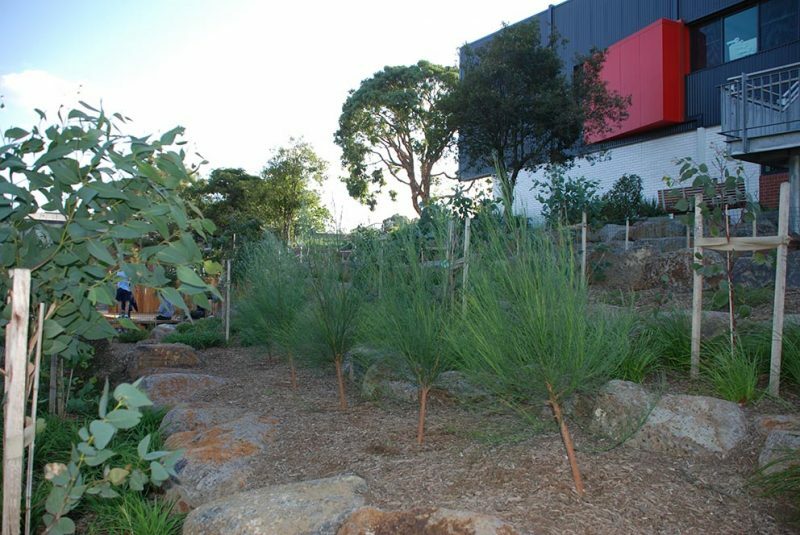 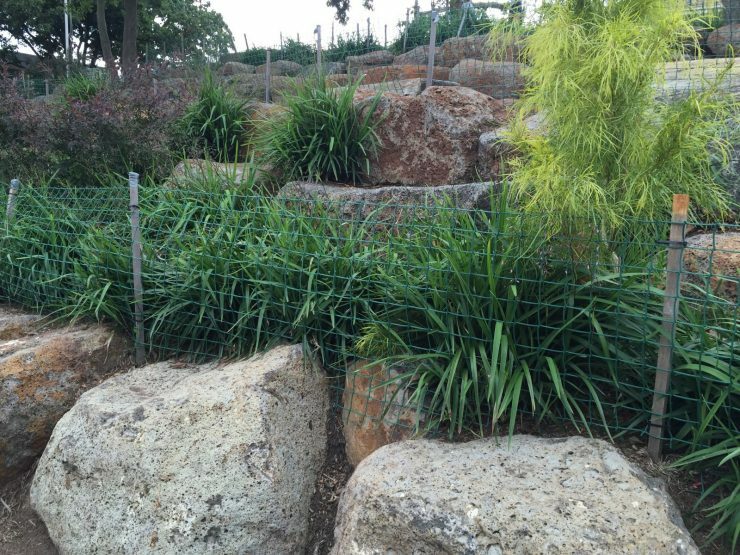 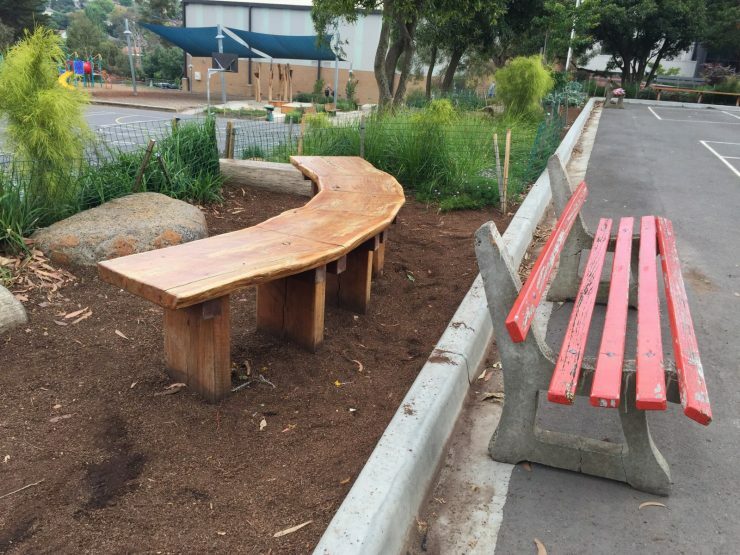 The landscape works were constructed by Arcadia Landscapes and completed in March 2015.